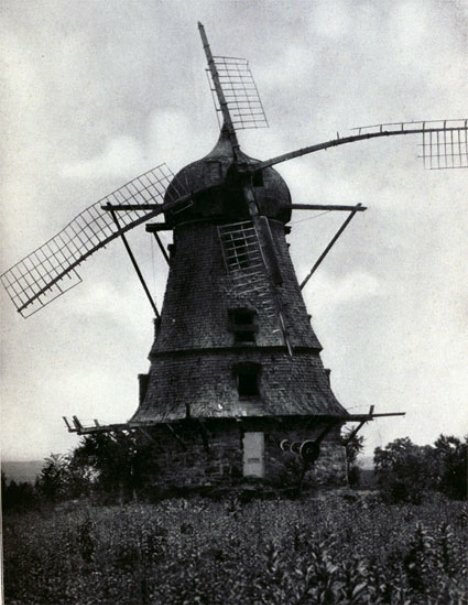 Windmills were one of humanity’s prime sources of electricity before the technological revolution. Monuments to the technology of simpler times, these structures come in all shapes in sizes, from massive stone giants to small steel towers. 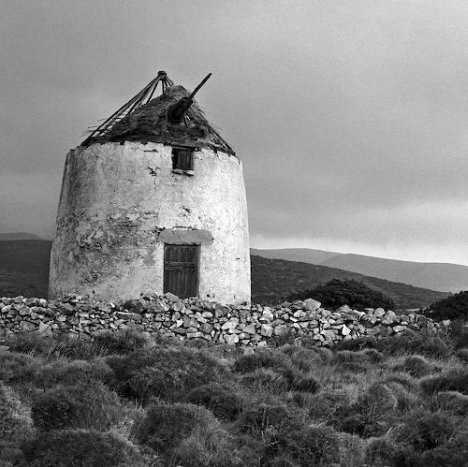 Here is a great collection of amazing shots of abandoned windmill photography! Holland is home to quite a few abandoned windmills. Somewhat ominous in appearance, these windmills sit along the roads in and out out of Holland and provide for some excellent scenery along the drive. their massive rotor runs straight through the tall stone shaft and sticks far out the opposite side for momentum and balance. 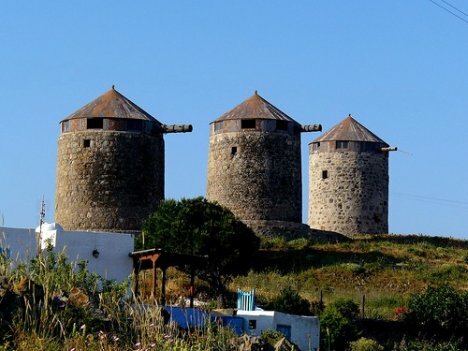 Situated on a hill in Greece, these windmills are quite scenic. Their blades have been removed and they no longer power the area they once did, however they are a part of the countries early history and have thus been preserved quite well. 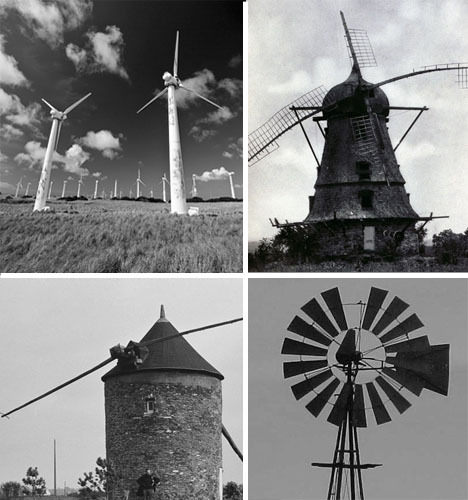 Judging by their size and girth, it is easy to imagine that these windmills most likely provided power to many country-side homes. 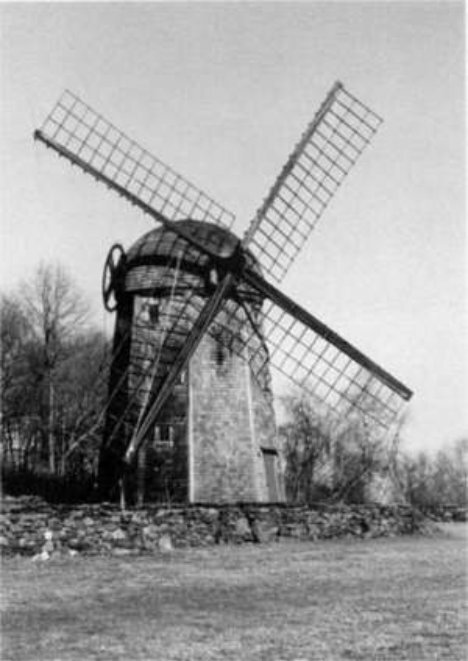 Erected in 1787, this windmill served as a replacement for an earlier one that was destroyed in the Revolutionary War. 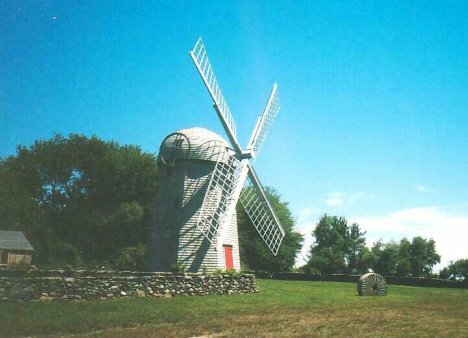 It is located on Watson Farm in Jamestown Rhode Island. It has been very well maintained and retains its classic, colonial look. Hopefully it will continue to be taken care of and enjoyed for years to come. 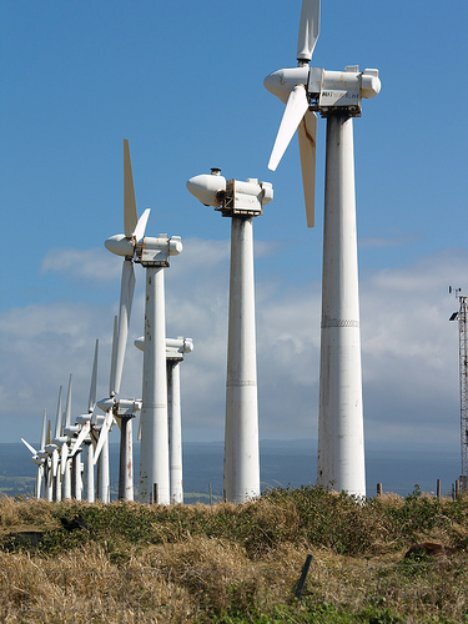 Located in South Point Hawaii, this windmill farm was erected in 1986. It has recently been shut down and abandoned and now fourteen of these giants stand just off of highway 11. 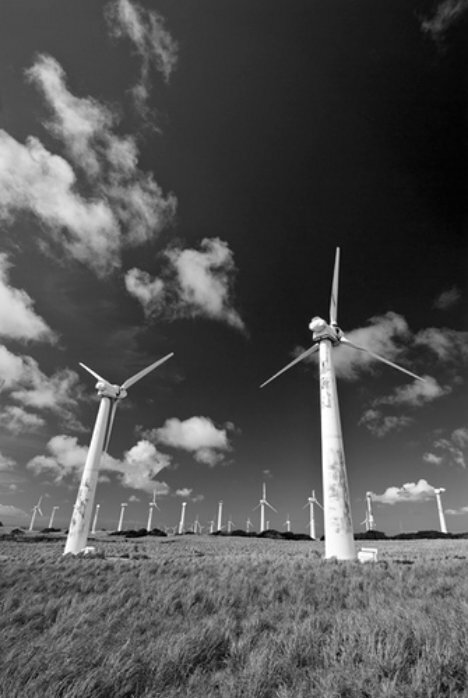 Unfortunately, these windmills used to be able to power 10,000 island homes which now must consume traditional power. The farm is regarded as a spooky place to be! Overlooking Old West Lawrence Kansas, this dutch windmill looks like something out of a child’s fairytale. Its appearance is stunning, unique and demands to be studied. It is a the product of the combination of architectural art and practical utility. 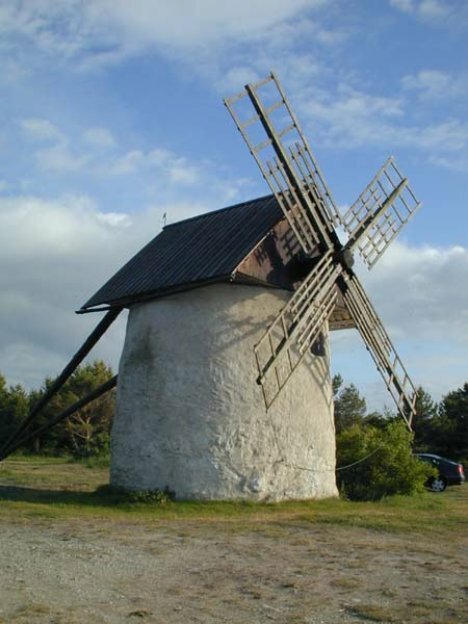 This particular windmill deserves to be maintained and could perhaps serve as a great restoration project. 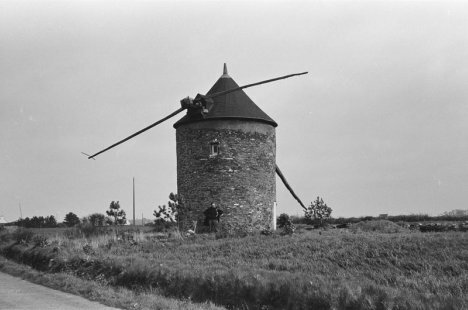 Many of us have an affinity for old relics of architecture, and this once-proud windmill has been standing tall for several hundred years. 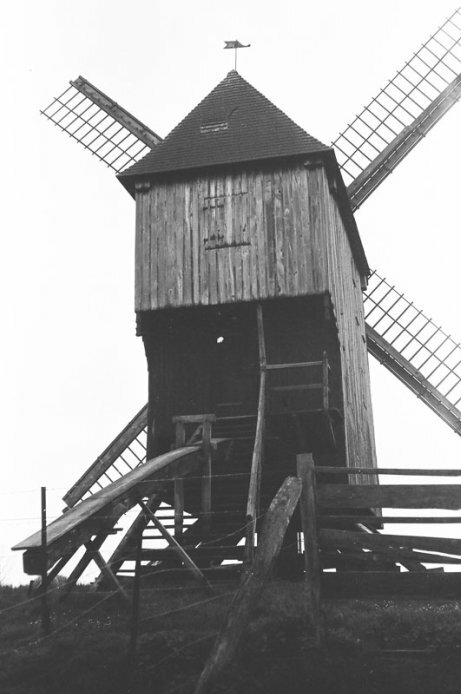 Located in Goatland, Sweden, this structure was most likely used to power a large farm. It appears to have been well maintained over the years, which is suprising for its age. It’s blades are of peculiar design, but are efficiantly engineered to capture the wind well. 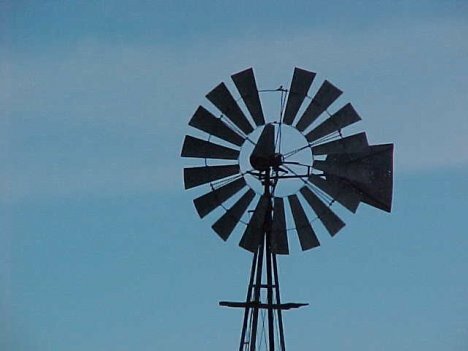 The entire windmill is held sturdy by large wooden support beams extending off of the back, to prevent it from blowing itself over! 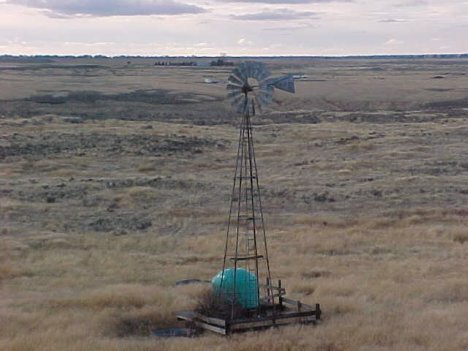 Many small-farm windmills are strewn about America’s Midwestern plains. 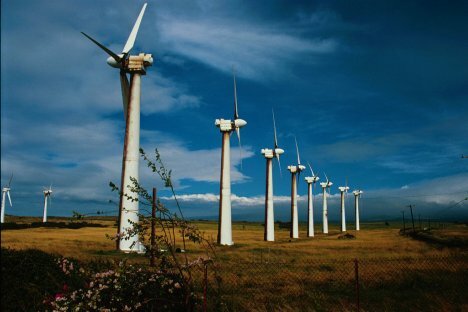 These are slightly different lookingthan the massive windmills shown earlier in this article. They are smaller and made primarily from aluminum. 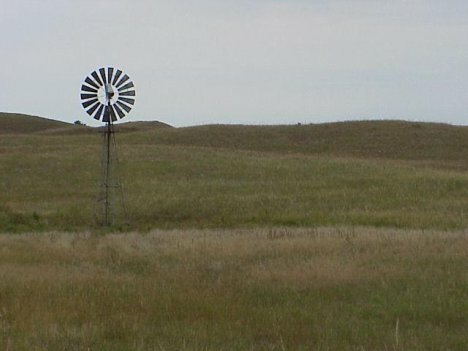 Surprisingly, several of these windmills can provide sufficiant power for an entire farm! These days, many of them have been abandoned in favor of modern power, yet they continue to attract area photographers looking to capture them before the earth has its way with their remains.